Listen to most ‘key opinion leaders’ talk about statins and you will hear soothing reassurances about their safety. Yet, my experience as a doctor suggests that adverse effects such as fatigue and muscle pain occur more commonly than ‘official statistics’ suggest. However, a study published this week claims to provide evidence that, for the most part, statin side effects are ‘imagined’ . This is confident, seemingly ‘evidence-based’ stuff, indeed. However, these findings do appear to me to be at odds with what I and many other doctors observe in real life: that a significant number of people who take statins have side-effects that resolve (sometimes slowly) on discontinuation of their medication. Of course, as the authors of this most recent study allude to, these side-effects may be nothing more than a negative placebo response – sometimes referred to a ‘nocebo’ response. However, is there anything about the way statin trials may be designed and conducted that could jeopardise our ability to get accurate data on the adverse effects of these drugs? Several explanations are possible. First, commercial sponsors of clinical trials may not be motivated to search exhaustively for potential side effects. One pointer towards this is that, although evidence of liver damage is documented in the majority of trials, diabetes diagnoses were only documented in three of the 29 trials assessed in the recent study. Second, many trials do not state clearly how and how often adverse effects were assessed. Because of this, it far from certain that all adverse events were ‘caught’ and logged appropriately. Third, some trials’ exclude patients with severe diabetes, kidney failure or high blood pressure. In reality, though, these individuals may come to be prescribed and take statins. Fourth, trial volunteers tend to be enthusiastic, and may therefore be less likely to report side effects than patients in routine clinical practice. Fifth, many trials have a ‘run-in’ period where individuals are given a placebo to help ensure adequate compliance with medication. This can cause studies to be ‘enriched’ with highly motivated individuals who, again, may be less likely to complain of side-effects. Finally, many trials excluded patients on medication sharing the same liver metabolic pathway as statins (e.g. fibrates and macrolide antibiotics). Patients on such drugs, in the real world, might well suffer higher rates of pharmacologically mediated effects. I make no secret of the fact that I think the benefits of statins are over-hyped and that the adverse effects are generally downplayed. As a result, a cynical observer might read my reservations here and think ‘well, he would say that’. But, here the kicker: those six issues I detail above were plucked from the very same study that trumpets the safety of statin . Much of what is written in this section of the post was actually lifted verbatim from the study. The reality is the deficiencies of the studies do not allow the authors (or anyone) to conclude that at all. The authors’ pronouncement on safety is utterly undermined by their own admissions about the incompleteness and untrustworthiness of the study data. about benefits and risks to make informed decisions.” The only clear thing about the risks of statins, to my mind, is that there isn’t much clarity. Making bold pronouncements on the safety of statins without us having the facts is potentially misleading, and may cause many to come to considerable harm, needlessly. I’ve come to realise that reading the abstract of a paper is not sufficient anymore, but it surely should be! The abstract should accurately portray what the study is about and accurately portray the conclusions which could reasonably be reached. However, it seems these days that the abstract of a study could almost be taken from an entirely different paper! How can this sorry state of affairs be allowed? And how many of us can genuinely read an entire scientific paper and even begin to pick holes in it? Isn’t this what should have already been done? I could not agree with you more about abstracts. There is an absolute need to delve into the details of the papers. Unfortunately getting access to the paper if you are not a subscriber to the journal is costly ($US 36 in this case) or you have to be a member of one of the medical libraries (RCP,RSM etc.) Thus for the majority the only public information is the abstract. Then we find that any associated press release is based on the abstract. As a result what is disseminated widely is the content of the abstract and the spin put on it by the authors. In this instance, Dr Briffa has highlighted the issues that have been in the discussion section of the paper, but such items rarely see the light of day. As an aside, are the publishers who demand such high prices for access to “original” research in collusion with the sponsors of the studies? Food for thought. I recently took part in a phase 3 trial of 2 new hepatitis C drugs. Before starting the trial I was screened and tested extensively to ensure I was a good, safe candidate for the trial. No-one designing a drugs trial wants to risk subjects dying or having serious reactions. Everything possible is done to ensure that high-risk candidates are excluded. I have met people who volunteered for the same trial as me, or similar trials, and were turned down. You want your drug to do well, and you especially don’t want development derailed by unexpected events that might or might not relate to your drug. Ethics approval also depends on your minimizing risks, so selection criteria that will bias the results in this way is officially approved as a safety measure; it’s seen as responsible practice, not anything underhanded. Until the results of testing on such carefully screened subjects are cited in the media as reasons to disbelieve the real, predictable suffering of actual patients, as has happened with the statins trial data. Then it all becomes a sick joke, and one that will backfire on the people expecting to profit from it. 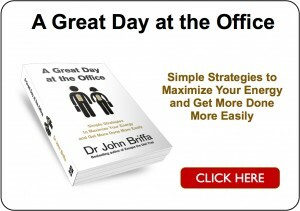 When I saw this I decided not to bother even reading it, thinking “Dr Briffa will have this”. Glad you didn’t disappoint. I did exactly the same last week over the article on proteins in the national press. I’m beginning to wonder if there are academics out there who are trying to bait Dr Briffa. I was prescribed simvastatin about 10 years ago. I did not associate the muscle pains that I subsequently experienced with the statin. I then read a letter in the Diabetes UK “Balance” mag that attributed their pains to statins, & their relief to stopping them. I stopped – without consulting the Dr – & in a week the muscle pains stopped. My wife is taking 40 mg simv – she had a heart attack 10 years ago. No problem for years but she she has chronic pain in the last few months. She is afraid to stop them because of her heart condition. Why trust me rather than Dr & consultant? I was prescribed Simvastatin in August 2011 following an ‘over-60s’ check up with my GP (my so-called ‘risk’ of having a heart attack within 10years was ‘assessed’ by a computer at 14%). I have a healthy lifestyle and am in very good condition for my age (63). My mother, who is 85 has always had very high levels of cholesterol but has never had heart problems. I took Simvastatin until June 2012 when I realised that I was suffering from fatigue, eg falling asleep on the sofa before lunch for no reason. Within two days of stopping medication I was as right as rain, previous energy levels fully restored. Needless to say, I did not bother informing my GP of my decision. I glean that 20% have significant negative effects; I have one anecdotal case close to me – he’s in his 60′s and because his total cholesterol was close to 8 mmol/L he has been on maximum dose statins for >15 years. He dropped the meds a couple months back when he learned the facts, and his phrase was that “he got his life back”. He can now jog again and feels incredibly better. Now that he is off the poison his Tot Chol is 7.8 mmol/L, and he has Tot/HDL of approx. 3.9, serum glucose 4 mmol/L, B.P. 110/60, very lean physiology, Triglycerides 0.6 mmol/L, GGT on the floor and (unsurprisingly) no inflammatory indications; so in short he has suffered with this medication for 15 years needlessly, perhaps outrageously. Amusingly, his GP sent him an urgent text to come back in when he saw that he was back to 7.8 – my friend didn’t even reply, as he would been unable to control his temper. I took 80mg of simvastatin followed by 40mg of atorvastatin 7 years ago. The muscle and joint aches started straightaway, which is why my Dr changed statins, despite my complaints. The timing suggests that statins caused my side effects. Unfortunately the symptoms have not gone away. By exclusion my diagnosis is Chronic Fatigue (CFS) and fibromyalgia (FM). There is not much discussion about dose. Perhaps a dose of 40mg simvastatin wouldn’t have caused the permant damage. CFS/FM has become a fashionable illness. Is that because sufferers have taken statins? It would be interesting to sample people who have taken statins at high dose to examine the strength of the correlation with permanent CFS/FM symptoms. One theory is that statins damage mitochondria. Looking at the mevalonate biochemical pathway, one would expect trouble. Dr Duane Graveline’s book “The Statin Damage Crisis” discusses permanent statin damage. Fred, this may be a long shot or something you’ve tried before, but have you had your thyroid checked? (As in a full panel of tests which, unfortunately, is something you may need to do privately as only T4 and TSH are routinely available on the NHS.) I hear what you’re saying about the statins having damaged your mitochondria, and sadly this may be what’s happened, but it can also be the case that CFS and FM are undiagnosed hypothyroidism. Kind regards. Fred, my heart goes out you. I took 10mg of simvastatin for less than two years, and now more than two and a half years after stopping them, I still suffer with pain and the difficulties you describe. So I don’t think statin damage has anything to do with the dose. However, at the time I took them, I was exercising a lot and on a low-fat diet. I was also taking other meds for my blood pressure, and one was found to incompatible with higher doses of simvastatin. Unlike you, I’ve never even gotten a clear diagnosis, but then I don’t want to take any more new drugs! How are ordinary lay people supposed to make sense of ‘science’ when it is impossible for us to separate the good science from the frankly appalling ‘studies’? I ask only because I was prescribed statins because of my diabetes and now I read that statins can actually increase the risk of getting it and – I presume – could worsen an already existing condition? As it happens, I stopped taking statins once I had had laser surgery on my eyes. The state of my eyes was the last reason of many given to me as to why I should take statins and it was the only one where I was not prepared to risk the possible consequences of not taking them. I still don’t know whether they actually offered me any protection given other changes I had been makiing to my diet and exercise regimes … but there do not seem to be any widely accepted, uncontroversial and evidence-based studies upon which one can rely for good, solid information. There must be many people ,like myself, who are compliant in taking multiple medications for heart disease and high blood pressure, but who cannot tolerate statins. Why would so many of these people have a negative placebo response to this one drug only and why would they all experience similar symptoms? The muscle pain I experienced on statins is something I have never experienced before in my life. How could I have plucked this from my imagination? Having tried five different statins, why did my imagination come up with different combinations and degrees of side effects for each one? Surely it would have chosen the easier option of saying ‘same type of drug – same side effects’, We all know that the mind can produce physical symptoms when we are anxious or depressed, but why would it conjure up such painful and distressing symptoms when we are taking a medicine we believe is going to help us? No doctor I have spoken to has answered these questions. Thank goodness we can all make choices about our own health, although it does take courage to stand up for this right with some medical practitioners. I feel very sorry for the millions more who are going to suffer from the current policy of mass medication of the population with statin drugs, many of whom will be unaware of the possible risks to their health and wellbeing. Medical ‘science’ has now joined climate ‘science’ as junk science. What a sick world! When you have studies such as the HPS (Sir R. Collins et al) going to great lengths to exclude intolerants (2/3rds of initial sample) and then extrapolating the extent of SARs found to the general population (great promotion but grossly flawed science) what can be expected from other unthinking researchers looking for study funds. As many have pointed out (eg Angell, Goldacre, Smith et al) the system is corrupt. Authors hide behind abstracts and the cost of obtaining the full report, thus excluding independents from the full details of the study. I believe that ALL REPORTS SHOULD BE OPEN ACCESS, at least after 5 years. One other problem with many of these trials is the length of time over which the trial is run. I took Lipitor for a few years before any problems began to appear. The problems ran on for another couple of years because I just didn’t relate them to Lipitor in any way. Then I forgot to include them in a repeat prescription request and I ran out of the drugs. Best “mistake” I ever made. For the record I then went on a merry-go-round of all the other available statins and they all did the same thing. I wouldn’t touch them again with a barge-pole of any length. I have had fun with statins. My GP gave me an MOT 3 years ago and I had high levels. I was told to go on a fat free diet for a month and when re-checked my levels had increased. Since then i have taken statins. The first one gave me headaches like an axe buried in my head. The second (simvastatin) gave me very itchy skin and I scratched my self almost to death. I now take pravastatin which have given me dreams, nightmares and disturbed sleep. I am now on the second week of a statin ‘holiday’ and for the first time in 3 years I wake up refreshed and ready to go after a good nights sleep. Before I go, all 3 statins I have taken have made me breathless and very weary. I find it amazing when doctors say there are no serious side effects with statins. They have made my life hell. Did you quiz your doctor on why your levels had increased whilst being on a low fat diet?? No doubt they would probably say you haven’t been eating low fat. 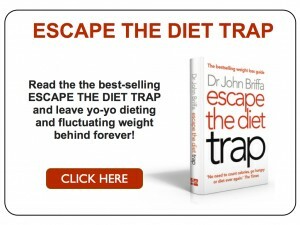 Perhaps have a read of Dr Briffas book and also have a look at http://www.dietdoctor.com plus http://profgrant.com/author/gschofie/. I too read this story, not without some astonishment. There is of course a ‘paywall’ to prevent non subscribers reading all of the data and lets face it none of us can subscribe to every journal and this is not a particularly prestigious one. However, the thing that really wound me up is that this same crew, are those that told us we should be taking statins with our burgers (sic). And, can you believe this; Ben Goldacre was one of the of the authors! That scourge of the quacks and big pharma, nonetheless lends his name to this study which ticks a lot of the boxes he lists often in his column as unfair and devious such as the first.. a paywall! The only thing I can take from this, is despite all of the evidence (or lack of it), he does believe that statins are good for us, which is also the stance he takes in his book ‘Bad Pharma’. He also places faith now in GSK’s promise to reveal all of the data from past trials, despite the fact that the hoops through which anyone has to jump to exercise this privilege, including non-disclosure agreements and other caveats that to all intents makes it impossible for any individuals, even those taking the damn pills, from reading the all data. So the doyen of the ‘worried well’ and the Gaurdian reader (and I’m one) has now been sucked into the maw of ‘Pharma’? Well that’s the conclusion that it would not be impossible to draw. And did they (he) have the data that is missing from all the trials conducted on Statins by Pharma that are RCT’s to arrive at the conclusion of ‘no harm’? (Thats’ pretty much all of them by the way). Whether anyone would have the temerity to question Ben about this is something I have some doubt about, although David Healy certainly has some problem about Ben’s volte face with GSK. I, too, have had my doubts about Ben Goldacre. I fully accept that no one medical professional can get it right all the time, or can even adopt a consistent position on all medical matters all the time, but I found myself getting regularly wound up by his columns during his phase as a regular contributor to the Guardian. For example, I found his attitude to the whole question of optimum nutrition ignorant and high-handed – although in this respect he is a typical product of conventional medical training. I’m also suspicious of his positive stance on the collection of large datasets, which can only ever serve to draw attention to possible medical phenomena in populations, rather than provide proof of causative correlations. Of particular concern to me, however, is Goldacre’s stance – in common with the rest of his profession – on the whole theory of placebo/nocebo, which appears to have very little evidential underpinning. I was not aware until recently just how little evidence there is until I came across Angela Kennedy’s excellent ‘Authors Of Our Own Misfortune? : The problems with psychogenic explanations for physical illnesses’. I have come to the conclusion that these twin theories are just an attempt by medics to appeal to their authority in the face of challenges by an increasingly assertive and well-informed public. I have not yet finished reading this book, but I urge any regular visitor to Dr Briffa’s blog (and Dr Briffa too!) to get hold of a copy while it is still available. Kennedy comes at the question from the perspective of the social scientist. When I started my post-grad training in a similar discipline nearly 30 years ago, I was required to learn about labelling and ‘deviant’ theories before I was allowed to start making assessments of my clients’ personal circumstances. I have often thought since then this ought to be compulsory training for doctors! The minute I saw this headline I knew you’d rip it to shreds and, even as a non scientist I could see the huge holes in it. But there are many people who just do what the Dr tells them and ends up taking these drugs. I also note that they are now introducing ‘Super statins’ which is no surprise seeing as the licence is about to run out – they need something to keep the profits coming in. John—I agree with your perspective about such trials. Peter Gotzsche goes into these issues in great detail in his book “Deadly Medicines and Organized Crime”. He concludes that all studies run by drug companies should be dismissed as garbage. He should know as a one-time insider in the drug industry. I work as a Hospitalist and just about every patient admitted to the hospital is on a statin. In the States that medical profession and public have been hoodwinked into believing that statins are wonder drugs. Often they don’t connect symptoms they are having as side effects of the statins they are taking. A Sunday Express investigation has discovered eight out of 12 members of the Nice panel which drew up the guidance have financial ties to companies that make statins or next generation cholesterol lowering drugs. Now we know, just like the “experts” who have decided not to follow the WHO advice on sugar reduction, 8 of them have worked for or had their research paid for by sugar companies and Unilever. A major problem with medicine today is that doctors a) do not keep themselves up to date b) do not have sufficient biochemical and pharmalogical training c) do not know how to read critically d) have no training in statistics which makes papers look good but effectively falsified the results. If any doctor looked at the pharmacological mechansim of the a statin they would see immeadiately the pathways of the side effects. They would know it is triglycerides which are the ‘fat’ issue in heart disease not Cholesterol which the body makes according to its need as this is the most important pre cursor for a host of molecules such as all the steriod hormones (eg testosterone). However not only are doctors incompetent but medicine has become big business through its manipulation of the state one payer system so all research when in an abstract form is just PR. – rarely the truth. Doll who defined the relationship with nicotine and cancer in the 30-50′s was bought out from telling the truth but the tobacco companies. Ben Goldstone is a champagne socialist so it is not inconceivable he has been bought too. Before you accept the alternative – a daily gram of niacin – listen to my experience. I was measuring my BG before starting on the course. 3 weeks later it had gone up by 0.5% & the muscle pains were returning. Dr then thought he could use my graphed results to report an unknown side effect. No, it wasn’t – a rise in BG was already a known side effect. Ben Goldacre has now blogged about the “flaws” in this study. Firstly my husband takes statins following coronary bypass surgery 12+ years ago. He gives himself occasional statin ‘holidays’ so he can feel what ‘normal’ is like, rather than itchy, aching and little energy. In truth I feel terribly sorry for the Swiss. They have the highest average cholesterol level in Europe at 6.4mmol/l (250mg/dl in those inconvenient US units). Surely the entire nation must be put on statins straight away. But, hold on, wait just one gosh darned minute. Don’t they have the second lowest rate of heart disease in Europe? Why yes, they do. Only beaten by the French. Who have an average cholesterol levels higher than most other countries, they also eat the most saturated fat in Europe, and yet they have the lowest rate of heart disease. About one quarter that of the UK and US. Cholesterol for most people is just a number, or numbers now that they’ve sliced and diced it. Triglycerides from excess (processed) carbohydrates is the real bogeyman. In the States it is said that the medical system kills some 225,000 people a year. And in the UK…? Would it be too strong to enquire whether govt. guidelines, associated vested interests and other agendas beyond even profits (such as a ramped-up depopulation agenda) are turning most statin-dispensing medics into new Nazi style population controllers? Bill Gates happily states that vaccines could hasten the reduction of the world population through accelerated global vaccination programs. Statins, and the way they are promoted, are merely another useful tool towards the same end. I took pravastatin for almost two years. I had continued muscle cramps and fatigue. It was a hard decision to go against the advice of my doctor to quit taking the medication. It is also my belief that the statins caused my stroke. Just changing my lifestyle, meal replacement and exercise, my cholesterol dropped from 320 to 183 in about 18 months. I believe nutrition and avoiding eating foods with hazardous ingredients and chemicals can reduce anyones cholesterol. I still have a full blood panel every three months to monitor my HDLl/LDL levels. One day in 2005 my mother and I were out walking when we met L.
Long ago, she went to the same school as my sister. We started talking. After some time, she told us that she had strange pains that kept coming and going in different places, but mainly in her back and hips. As my mother had suffered from something similar (+ muscle weakness in legs and sleeping problems) the year before, and I had discovered that it could be side effects of statins, I jokingly said – I hope you are not on statins such as Zocor or Lipitor. She said – I have been taking Zocor for some years because of heart problems in the family. The doctor adviced me. He takes it himself. I told her to go to the library and ask for a certain, critical book by Uffe Ravnskov and to read the package insert carefully. I also promised to send some information. The years went by and I didn´t hear anything (we don´t live in the same town). Recently, I run into L and her husband and was curious to hear how she was doing. She said – haven´t you heard? The pains had become worse and worse. They found some disc problem and she had surgery, but didn´t improve. She thought it was due to bad healing. She went to a special pain clinic, had all kinds of tests. She got cortisone-injections, she tried different pain mediciations including opiods and morphine. Nothing helped. She had problems to stand and walk, had to use a walker. One day her husband went to pick up a refill at the pharmacy, but they had some delivery problems and she went without medication for some time. To her surprise, she felt better. She phoned the health clinic (another doctor). She asked if she could take a drug holiday and was told that it was okay. The improvement continued and eventually she didn´t need the walker. The nerve pains also disappeared although the staff had told her that they never would. I said – how did you feel? Didn´t you get angry? She said – no, the doctor was so nice and kind and he was on the same kind of medication. Therefore, I trusted him (my mother went to the same doctor and she got the same message). But the last time I saw him I didn´t want to burden him with my problems because he was more ill than I and soon after he had to close his practice. I remember that you warned me, but I wasn´t ready at the time. P.S. This is a story from Sweden. In that case, why prescibe at all? Do they improve health? So pain has to be measure chemically to be considered???? Guys, there is a growing body of knowledge around the moderate mortality benefits of statins, and how 25 hydroxy Vitamin D is linked intimately to their effect; however, if it transpires that a simple supplement of this critical agent (in which incredible numbers of people are deficient) can achieve the same advantage with BENEFICIAL side effects, well then we’ll have a corporate profit crisis, won’t we? Oops, can’t threaten the quarterly revenue numbers via the medical profession waking up and actually studying the emerging science, can we? Better get that paywall shored up pronto……..watch this space! It’s a parallel universe where ‘researchers’ are allowed access to data to make strong pronouncements about the effectiveness and safety of statins (but no-one else is allowed to see the data).